At the time, I was too mesmerized by the spectacle of Helena Bonham Carter playing a working-class tart on another channel to notice the result of ITV’s annual self-congratulatory jamboree, Ad of the Year. Fortunately, my old chum Stephen Foster was a lot more vigilant. I gather the winner was Thinkbox’s ‘Harvey the dog’ commercial, which is an interesting result from several points of view. First of all, it’s a very good ad (one of my favourites this year, in fact), so plaudits all round – to Tess Alps and her team, and ad agency Red Brick Road, not to mention to Harvey himself for his winsome performance. It’s an engaging piece of communication, and does exactly what it says on the tin – it makes television advertising more appealing. Which brings me to my second point. Harvey was a worthy winner in any competition but this one: a showcase for ITV’s commercial department in which the principal gong goes to … ITV’s principal commercial cheerleader. By way of justification, it might be pointed out that the winning ad was the genuine choice of an 8,000-strong panel of viewers, not the result of a studio fix, like the notorious naming of the BBC’s Blue Peter cat. To which I would counter that a) the programme organisers clearly need the benefit of X Factor Simon Cowell’s consultancy skills and b) as Stephen suggests, what were they thinking of in allowing the ad to be entered in the first place? While we’re on song and dance routines, I’d also enter a plea for IKEA’s somewhat under-rated ‘Kitchen Party’ (Mother). It took me a while to fully appreciate this one, entertaining though it is. What were they all doing dancing in the kitchen – of all place’s? Doh! said my wife: you’re clearly not the target market. These days, fitted kitchens have nothing to do with cooking skills – if they ever did; in fact those skills are probably inversely proportional to the amount of money spent on showing off. The kitchen is the place where culinarily-challenged 18-34 year-olds do all their entertaining. Silly old me. Which agency network group will land the next big deal? Corporately, the 2010 agency scene has been remarkable in only one respect: the absence of a big, transformative deal. Consolidation, the key underlying trend of the past decade or so, seems to have stopped in its tracks. True, there have been some near misses. Most notably, Dentsu nearly acquired digital network AKQA for about $600m, but backed off at the last minute over fears about the excessive price, not to mention the perceived hostility of AKQA’s senior management. Publicis Groupe, however, did not launch its much-touted (not least by me) all-shares takeover bid for a holed-below-the-waterline Interpublic Group. And Vincent Bolloré, chairman of Havas, did not conclude the longest hostile takeover bid in history by acquiring the 70% of Aegis Group he does not already own. 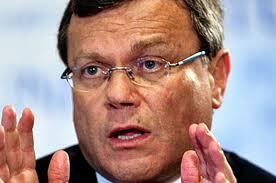 Symbolic of this lacklustre M&A year has been the muted activity of the sector’s most aggressive actor, WPP. Group chief Sir Martin Sorrell restricted himself to useful infilling, of which the most decorative has been the acquisition this week of Blue State Digital, the agency that helped to propel Barack Obama into the White House, and the bankrolling of Peter Mandelson’s consulting business, Global Counsel. The £100m channelled into acquisitions this year is mere pocket money compared with WPP’s last big splurge – £1.1bn spent on buying research company TNS in late 2008. Now I know New Year crystal-gazing is a dangerous thing – not least because the wildly inaccurate predictions, which often result, come back to haunt you. But I do believe change is in the air. No, really. One straw in the wind is Omnicom’s return to the poker table after about a decade’s absence. Chief executive John Wren has pooh-poohed suggestions that his company will seek out transformative deals of the Razorfish (Publicis) and 24/7 Real Media (WPP) kind. But he has acknowledged Omnicom’s backwardness in the digital sphere and announced a Big Leap Forward. Typically, this is to take the form of partnerships rather than outright acquisition. All of which has not stopped Omnicom from getting into intensive negotiations to acquire eCRM company Communispace for about $100m (we may know the result of these quite soon; I gather there are some tax complications). Note that Omnicom has access to $2bn of revolving credit, with the option of an extra $500m. Nor, for all the caveats that must surround any such bid, should we expunge Publicis/IPG from the script. Publicis has been put off its stride during 2010 by a messy succession crisis, which has now been settled for the time being. If anything, IPG’s plight has worsened during that time. To add to chief executive Michael Roth’s woes (prime among them, a smouldering fire in the IPG engine room, McCann Erickson), it looks very likely that one of his principal networks, DraftFCB, will lose its $1bn signature account, SC Johnson (which it has handled for decades). Mitchell: Deal doesn’t add up? And let’s remember that Aegis is not off the hook, either. Probably the most significant agency deal of 2010 was Aegis’ £200m acquisition of Mitchell Communications in July. Back then it seemed a shrewd move, and not only for Harold Mitchell, the eponymous founder, who ipso facto became a 4% holder of Aegis stock. In return, Aegis reckoned it had got significant exposure to Australasia, and a form of insurance against another hostile sortie from Bolloré – even if it did pay top Australian dollar for the privilege. I have since heard the deal wasn’t quite as margin-enhancing as Aegis chief Jerry Buhlmann would have had us believe at the time. Mitchell has now admitted that revenues are not all they were cracked up to be. At any rate, Aegis has had to reissue its circular, with certain embarrassing amendments to corporate expectations contained therein. How Bolloré must be laughing all the way to his bank (Mediobanca). Aviva, one of the world’s largest financial services groups, has been caught with its integrity down by the Advertising Standards Authority. Where’s the offence in that, you may ask? It lies in the apparently throwaway scripted line: “Aviva got me nigh on 20% more income from my pension pot.” And a more emphatic end-line to the same effect. Not true, says the ASA. Despite exhaustive research into its own market place, Aviva simply could not provide substantiation for what it hoped was true: that it offers the best current annuity rates. The ASA finding is interesting not so much because it exposes a degree of corporate dishonesty in Aviva (BCAP 5.1.1 and 5.1.2), but because it underlines what we have long suspected is the case. That is, the insurance-led pension annuity market is of such complexity and opacity that not even one of the principal operators within the sector really understands it. Ring a bell? Securitised sub-prime mortgages? Lehman Brothers? Don’t just take my word for it. Here’s the ASA’s assessment, laid out in the mind-sapping and achingly dull analytical detail that is so characteristic of the pensions industry. It’s enough to send anyone but an actuary to sleep. And that, of course, is what the industry has relied upon over the years to lull us into a false sense of security. But no longer. With so many baby-boomers – the key voting cohort – passing the pension line, annuities have become a hot issue. Most don’t like what they see – and for good reason. Annuity rates are vanishing before their eyes, thanks to the reducing effect of increased average longevity. And they’re equally unimpressed with a lack of industry transparency; and the way that insurance companies are permitted by law to pocket their pension pots once they die. No wonder the Government is working so feverishly to change the system. Whatever else 2011 brings us, it looks like being the year of the drawdown-friendly SIPP. It would appear the Scourge of Capitalism (aka business secretary Vince Cable) was bent on doing exactly what I earlier predicted. That is, committing a gross act of hypocrisy – in the clandestine manner of the bankers he so despises – by rigging the market to get the result he wanted. This is the only reasonable interpretation of his unguarded remarks to two Telegraph undercover reporters about “declaring war on Mr Murdoch”. He is of course referring to his supposedly impartial role in adjudicating the acceptability of NewsCorp’s bid for the 61% of BSkyB it does not already own. For the avoidance of doubt the guileless minister of the crown went on to explain to the two reporters – posing as constituents: “I have blocked it [the bid] using the powers that I have got and they are legal powers that I have got…”. Actually, that last bit is a tad premature. Ofcom is not supposed to report back on whether there is a prima facie case for referral to the Competition Commission until December 31st. But Vince was clearly confident that he had Ofcom in his pocket and could press ahead with a referral on the public interest grounds of an infringement of “media plurality”. The beauty of such grounds is that they reside entirely in the realm of political value judgement rather than the rigorously factual analysis of any threat to competition. 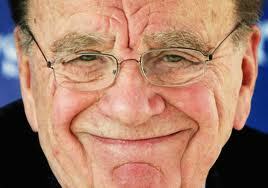 And given that Cable would have had the final word, Murdoch & Co were clearly going to be thwarted. No longer. Vince is off the case (indeed, he is off any adjudication of media competition cases from now on), although he has narrowly managed to retain his job. And culture media and sport secretary Jeremy Hunt will take his place. As a Tory, Hunt does not carry Cable’s Lib Dem ideological baggage; and if he does harbour any personal animosity towards the Murdoch clan it has so far remained scrupulously off the record. Which is just as well. In the circumstances he will find it politically excruciating to deliver the thumbs down. The European Commission has just waved through the bid on competition grounds. That leaves the public interest argument. But this, too, is looking increasingly shaky when assessed on any fair-minded basis – as it will have to be in the wake of Cablegate. The legal precedent was set when the last government forcibly caused BSkyB to divest most of its 18% stakeholding in ITV. Ironically, the stated grounds were that NewsCorp’s then 39% holding in BSkyB posed a threat to UK media plurality. If you’re already a threat to media plurality when you hold a controlling 39% interest in a company, how is owning the rest of the shares going to make a material difference? As political fiascos go, this is a corker. The Scourge of Capitalism has ended up performing a humiliating act of public self-flagellation. In the process, he has damaged Ofcom’s independence and almost certainly brought about the result he most feared: the strengthening of Rupert Murdoch’s commercial interests. En passant, he has also damaged The Telegraph – one of his allies in the Murdoch matter, if no other; although Cable can hardly be blamed for that. The Telegraph deliberately suppressed Cable’s anti-Murdoch comments, presumably on the grounds that they harmed its commercial interests. Only because some nameless Assangeite felt that editorial integrity had been inexcusably compromised did the scoop come into the capable hands of BBC business editor Robert Peston. I bet they’re laughing up their sleeves at Osterley Park and Wapping. I can’t say I blame them. You’ll have to forgive me. Unlike former Porsche marketer Joel Ewanick, I don’t live in the fast-lane – meaning, I’ve just caught up with the news that he has been appointed to the new position of global chief marketing officer, General Motors. Even by his standards, that was quick work. He only joined the organisation eight months ago as US vice president marketing, after a brief and apparently stormy sojourn at Nissan. But what an eight months that’s been. The relentless cutting-edge of the whirling dervish has left no department intact, no slogan unchallenged, no strategy unexamined, no agency relationship unmarked. Most notoriously, it will be recalled, he summarily despatched Publicis Worldwide only weeks after it had won the $700m Chevrolet account, and replaced it with (off-roster but on-message, so far as Ewanick is concerned) Goodby Silverstein & Partners. Then, judging perhaps that he had gratuitously made an enemy of one of the most powerful admen in the world, he placated Maurice Lévy by firing BBH from $270m Cadillac and giving the business to Fallon instead. I’m sure there were other reasons for this move: but it cannot be entirely coincidental that Fallon is wholly owned by Publicis Groupe, of which Lévy is the ceo, whereas BBH is only 49% owned by the same company. More money, then, into the main exchequer. Any way, back to Ewanick. There are at least two, not entirely contradictory, ways of looking at his brand of marketing management; the success of his current appointment will depend on which is uppermost. The first we have already seen: the change agent on steroids who will stop at nothing to become the world’s most famous car-marketer, in a vainglorious attempt to salvage the apparently unsalvageable: GM’s reputation. The second is a man with an indisputable reputation for turning around troubled car marques. He did it at Porsche Cars North America during the nineties (no fly-by-nighter there – he stayed nearly nine years as general manager marketing); and he did it again during his 3-year stint as head of marketing at Hyundai North America. 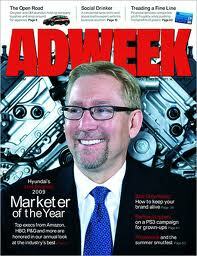 Hyundai is now – arguably – America’s most successful car brand. The key regional bosses we are talking about here are the ones with dominion in Britain (Vauxhall), Australia (Holden) and Germany (Opel) – Ewanick already controls the rest. And the key issue is how much these brands desire, or even require, “consistent global messaging” – still less an American-centric version of it. Let’s not forget that these were the successful bits, devolved from GM’s incompetent Detroit management – the bits that didn’t have to go into Chapter 11 a while back. I wonder whether Ewanick has the forbearance to acknowledge that. Somehow, I can’t imagine tact is his number one quality. Whatever happens, it’s going to be an interesting ride for GM’s European roster agencies. DLKW Lowe, McCann Erickson, Scholz & Friends and Amsterdam Worldwide, fasten your seat belts. That’s the flipside of being a global brand: bad news travels even faster than good. One minute you’re landed with a class-action by a disgruntled San Francisco consumer advocacy group, the next The Guardian is launching an agonised national debate on whether McDonald’s Happy Meals should be banned in the UK. And all because little kiddies are given free break-on-impact toys every time they manage to bully their parents into taking them down to the local Macca for a high-calorie, high-cholesterol, sugary, salty binge. This is an issue that McDonald’s cannot duck, for two very good reasons. First, it touches on the limits of freedom of commercial expression. Many parents seem to believe that what McDonald’s is doing is underhand and unacceptable. But there is another point of view (and, not surprisingly, one shared by the fast-food retailer itself). Parents also have a duty of restraint over what they allow their children to do: they are not pawns to infantile egotism. In Technomic’s 2009 Kids and Moms Consumer Trend Report, kids “overwhelmingly chose McDonald’s as their favorite fast-food restaurant,” with 37% of kids surveyed choosing it as their favorite. The second-most chosen was Subway, with 10% of kids claiming it as a favorite. About 8% of kids surveyed said Burger King was their favorite fast-food restaurant. More important is why they are choosing it. According to Technomic’s report, the “influence of a toy is much stronger for kids than parents in a kids’ meal-purchasing decision.” About 87% of six- and seven-year-old kids and 80% of kids ages eight and nine said they enjoyed getting a toy with their kids’ meals, according to the report. 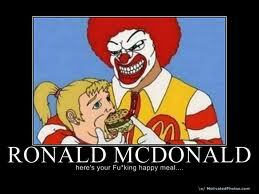 “The Happy Meal has become a staple in the American family lifestyle, ” said [Technomics executive v-p Darren] Tristano. Not much at stake then. It will be interesting to see how one of our most illustrious marketers, Jill McDonald – who is now McDonald’s UK ceo, bats this one off. …Something that has come as a bit of a shock to VCCP, which handles the £35m business in Europe, McCann Erickson – responsible for South-Asia, and Crispin Porter + Bogusky – the same, in the USA – who didn’t even know they were in a competition. Why has Coca-Cola been so reluctant to disclose the fact that there has been a pitch at all, let alone that Ogilvy & Mather has won it? It’s a mystery. Although on the existing roster, Ogilvy has thus far been in charge of Latin America only. It’s not the most promising piece of Zero terrain (Latin Americans’ aversion to the ‘toxic’ aspartame infusing the brew is well known). Then again, maybe Ogilvy just had to fight that much harder to come up with a winning idea. Evidently not quite enough of them, judging from Coke’s recent conduct. The current “secret” review appears to be aimed at developing a single, global, advertising concept. I have not idea at this stage what that might be. Apply to Ogilvy Paris, which will be handling the global campaign. Huge thought the win is, Ogilvy should remember that today’s favourite may be tomorrow’s casualty. In its agency relationships, Coke is beginning to resemble a gangster playing Russian roulette. Who will be the last agency standing? There’s more on the nature of the win, and the turbid roster politics of Coke Zero, in an article by Joe Fernandez on Pitch. UPDATE 16/12/10: Coke, under pressure, is now claiming “This [the Ogilvy] appointment does not affect local market agency relationships on Coke Zero.” Not much it doesn’t. Most of the money will now be flowing to Ogilvy. Still, you’ve got to keep the rest of the troops happy. You are currently browsing the Stuart Smith's Blog blog archives for December, 2010.